Support the Independence Sinfonia during our 2017 start of season fund drive! 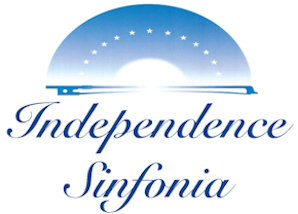 or mail your check payable to the "Independence Sinfonia" to 8403 Elliston Drive, Wyndmoor, PA 19038. Since 1995, the Sinfonia has been dedicated to excellence in the performance of orchestral music. We strive to enrich our audiences by fostering their knowledge and enjoyment of classical music, while continuously improving our skills and knowledge as musicians. I invite you to make a gift to support our work. Your contribution will boost our financial foundation as we grow and work to expand the musical horizons of our players and audience. Your gift helps us cover the costs of conductors, soloists, rehearsal space, concert hall and the other essential items that go into preparing and staging a first-class concert. We run a very a tight ship in terms of financial management, but ticket sales cover only a portion of our operating expenses. The Independence Sinfonia is a 501(c)(3) Pennsylvania nonprofit organization, so your gift in support of our mission is fully tax-deductible. We will be happy to acknowledge donations in our coming season's concert programs, unless you request us to keep your gift anonymous. © Copyright 2018, Independence Sinfonia.